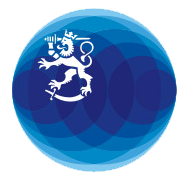 Take advantage of Finnish missions’ and Honorary Consuls’ networks of contacts with local authorities, companies and partners. This network can serve as the local eyes and ears for a company heading for a new market. Give your company credibility by organising networking events: the head of a mission or a high official may attend and lend prestige to the event in different ways, for instance by opening it or giving an address. Participate in Team Finland visits to target markets. Network by attending some of the versatile events organised by the missions. Ask a mission to open doors to contacts that you could not access without assistance.